Reiki is an ancient Japanese energy-based system of healing that promotes deep relaxation and well-being. It was discovered by Mikao Usui in the early 1900s during a meditation retreat on Mt. Kurama. It is typically administered by placing the hands on or above the body, and it is based on the idea that an unseen life force energy flows through us, allowing us to be alive. Reiki feels like a wonderful glowing radiance that surrounds and fills the receiver. It is like being wrapped in a warm and cozy comforter, while feeling truly loved and supported. Add to this a feeling of being truly relaxed and at peace. Reiki is a gift. It brings comfort, joy, well-being, and harmony to everyone touched by it... It is difficult to describe the experience of reiki with words, one must experience it to understand it. Try it! You will love it! During a reiki session, the client lies on a massage table, fully clothed. The practitioner places her hands on or above the body in various locations on the head, torso, arms, legs and feet. A session generally lasts 60 minutes. The word "Rei" means universal, as well as higher knowledge or spiritual consciousness. 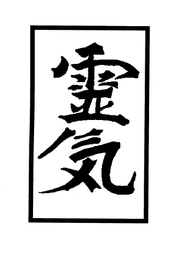 The word "Ki" means life energy. Reiki can thus be defined as spiritually guided life energy. The beauty of reiki resides in its true simplicity and in its absolute respect for both the receiver and the giver: Reiki can never be forced on anyone, it honors the recipient by flowing where it is needed in just the right quantity. The practitioner is there as a channel of the healing energy, allowing Source or a higher power to guide the healing session and send healing where it is needed the most, whether at the physical, mental, emotional or spiritual level. After being trained in doing Reiki, a recent reiki student said "Now, I just want to go home and give everybody flowers". Another client said "... After receiving reiki, I just love everybody!". These are a few examples of how people often respond to Reiki. One thing for sure is that Reiki will always put a smile on your face, and make you feel better. It is a gift from the Divine!